The “action cam,” like this iON Air Pro WiFi 3, is the new king of the selfie. The marriage of photography and electronic technology is an odd one, and consistently takes imaging to unexpected and unpredictable places. In the camera phone era, the dominant photograph in the general public’s portfolio is the “hold-away” selfie, so called because the photographer holds the phone as far as he/she can to snap a self portrait or a self-inclusive group photo. The look of these photos got old quickly, in no small part because images of the human face made from within three feet (an arms length) cause a considerable amount of foreshortening (which amateurs often incorrectly refer to as distortion), creating a somewhat unflattering portrait. You can make hold-away selfies with other cameras, but it’s easier with phones because they are so light, and are usually with us when the good times roll. Along come action cams. 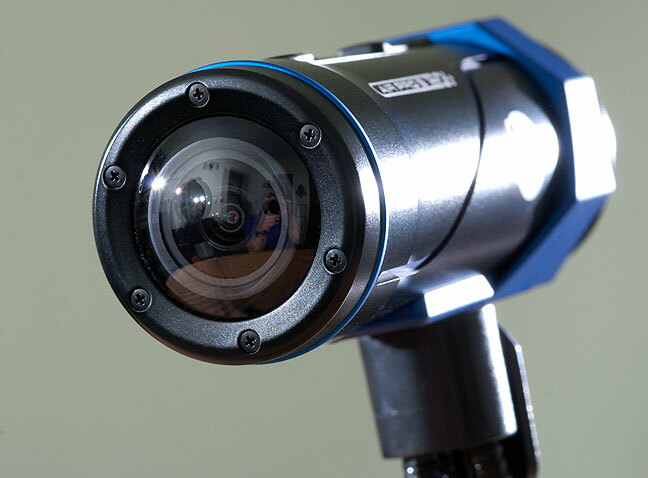 Also known as POV (Point of View) cameras, helmet cams, or the genericization of the brand name GoPro, these cameras feature very light weight, easy mounting on most anything, both video and still capability, and a very wide view angle. 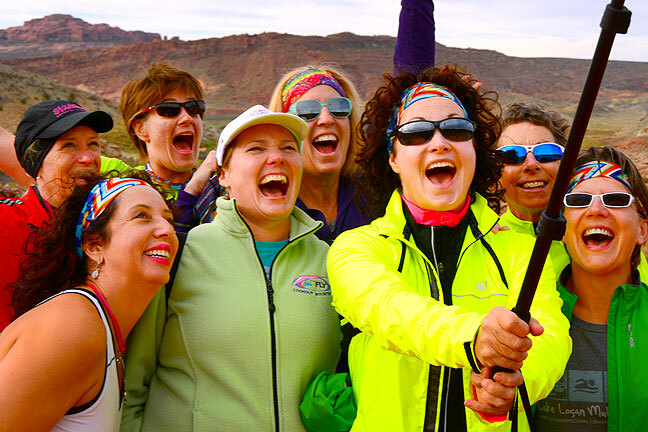 The result of this combination is that the photographer can put an action cam on a short stick resembling a hiking pole, and hold it out and up for a marginally better selfie or group than the tired hold-away phone photo. It’s an improvement over the hold-away selfie, but my feeling is that it will get old quickly, which makes me wonder what the next trend will be. I photographed this festive group making a “stick selfie” at Arches National Park Utah earlier this month.